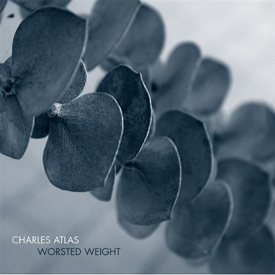 these charles atlas songs originally appeared on 'worsted weight' (ochre records, och371cd), except 'stone[d] in brackish pool' from 'the deadest bar/stone[d] in brackish pool' ep (audraglint ag108). nature photographs by chris woodcock. digipak design by multifresh. audio mastering by twerk. 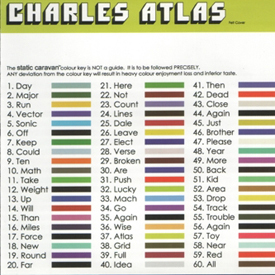 all songs are copyright the respective artists and charles atlas except track 1: voice bits by celine, percussion and sampling by xian, (c)2003.
recorded in 2003. produced by charles atlas. recorded by jose alvarez. additional recording by sean coleman and peter weldon. mixed by sean coleman and charles atlas. mastered by mike cross at ten pin alley. 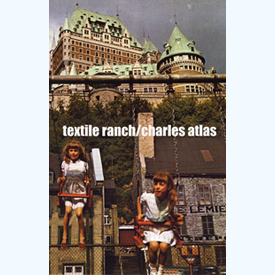 all songs by charles atlas. all lyrics by charles wyatt. side a recorded in san francisco with jose alvarez and sean coleman. side b recorded in san francisco by sean coleman. by charles wyatt, matt greenberg, and sacha galvagna. vocals and saw on side a by denise bon giovanni. recorded may 8th - july 9th 2002 in san francisco with jose alvarez and sean coleman. 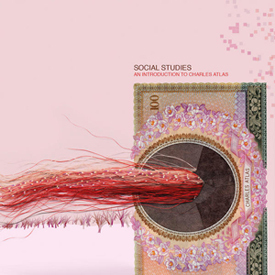 all instruments by charles wyatt, matt greenberg, and sacha galvagna. vocals and saw on track one by denise bon giovanni. guitar on track four by sean coleman. white noise bursts on one foot under inspired by patrick harte. recorded at bruxter studios, san francisco, winter 2001. engineered/produced by monte vallier. all instruments by charles wyatt and matt greenberg. alex kort: cello. hinged and still written as a collaboration with alex kort. limited edition of 1000 in a Montelimart sleeve. Charles Atlas/Alan Sparhawk split 7"
(Star Star Stereo, str 4011). Out of Print. Play The Spaces (Star Star Stereo, str 4010). Out of Print. recorded in san francisco/chicago, october 1999 through february 2000.
performed by charles wyatt and matt greenberg. john vecchiarelli: drums on 3, 5. Two More Hours (Star Star Stereo, str 4009). Out of Print. recorded in milwaukee/san francisco, winter 1999.
all instrumentation by matt greenberg, erik kowalski, charles wyatt. tamara battis: voice. 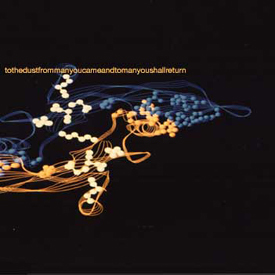 Edith - the Ottoman Empire: Couch Fort Records compilation, 2005. Prevously unreleased version. Brainwashed Eye DVD Vol. 2, 2004. US. Interview and performance segment. Pondcup - Infrasonic Waves Ochre Records compilation, 2000. UK. 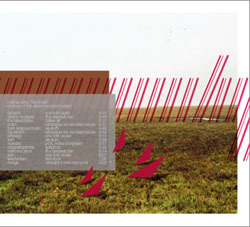 Somnia - Masstransfer Magazine compilation, 2000. US. Miniature Lifeboat - After Hours Magazine compilation, 2001. Japan. Italian Air - Grounded Sound compilation, 2003. US.